Theosophy or Divine Wisdom, as we explore it in our endeavour to come to understand it, tends to evolve over time as we begin to experience and practice aspects of what we come to believe is a way to true knowing. The experience is essential and is the real heart of coming to understand what theosophy is. We will explore here some of the ways we can open our heart to the real theosophy of theosophy that the knowledge simply hints at. 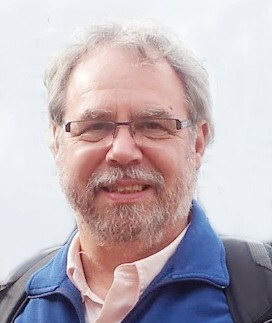 John Vorstermans is the National President of the Theosophical Society in New Zealand. John is a qualified Ayurveda medical practitioner and herbalist, with interests in evolving technologies in education. He has studied many aspects of the ancient wisdom, particularly with moving from a knowledge to a practice of the wisdom principles as it relates to transformative processes in ones way of life. Theosophy to John is a way of life, not simply an intellectual pursuit. The Theosophical Society, a worldwide organization formed in 1875, promotes an underlying unity of life; it fosters religious and racial understanding by encouraging the study of religion, philosophy and science; and the enquiry of the spiritual aspect of life. The Society stands for a complete freedom of individual search and belief while promoting a willingness to examine any concept and belief with an open mind, and respect for other people’s understanding.